Many people might have already heard about this mega venture designed to walk into the social networking world, called Google Plus. This powerful tool has several unique options for making money online, which will be described in this article. 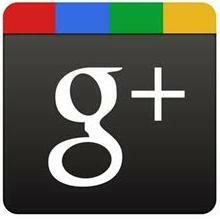 Initial version of Google Plus was launched in June 2011. At that time, it was available for a limited number of users. Later these users were authorized to send a limited number of invitations to the network in the course of beta-testing process before the website began its existence. Finally, the site became publicly available in September 2011, so everyone over 18 years old was welcome to join the community. Basically, Google Plus assembled some of the Google’s existing options, like Google Profiles and Google Buzz. Google Plus was also the first community that integrated the idea of social or friend-based groups. Here the users have an option to add their contacts to a special group of friends as they wish. For example, it is possible to create a “work” or “family” group for placing there only Google Plus contacts associated with your colleagues or family members. Once a group has been created, a user can publish information and make in visible or non-visible to a certain group or groups. This is what many competing social networks were lacking in the past. As for now, Google Plus is too new, and there are not so many clear ways of making money through Google if compared with Facebook or Twitter. However, you can start working on finding as many followers on your Google Plus Profile as you can right now. It goes without saying that you can not create a Google Plus profile without having a Google account. So, consider creating a basic account with Google if you don’t have it yet. Then visit https://plus.google.com/ and sign in with your current Goggle account. - Make sure your first and last name are properly listed in the pop-up section and indicate your personal data, like gender, age, etc. You can also put a photo in your profile. In fact, having a photo is a must for Google Plus profile. However, if you skip this stage, you are still able to insert your photo later. - Now hit the “join” button. - Following the next page you will be invited to find other people to add to your contact list. According to your wish, Google will search your friend through Hotmail or Yahoo. - After passing through all these formalities, you will be redirected to your profile page. Note that Google will also verify your other Google-based affiliations and search for your Google contacts. You will then be able to break them into groups. Before you start making money using your Google Plus profile, you have to find a sufficient number of followers. Basically, your followers are your traffic and your audience, based on your Google friends and contacts making part of your community. As statistics show, an average Google Plus user is often older than a common Twitter or Facebook user. So, having about 30-40 business contacts would be ok. Another important thing to remember is that a mere fact that you added a contact to one of your groups doesn’t mean you follow it. And vise versa: being a member of someone’s group doesn’t mean it follows you. - Try to follow as many people as you can and ask them to follow you back in return. - Use your other social network pages, like Twitter, Facebook, Linked In and others to invite your fiends to follow you on Google Plus. Also put a link to your Google Plus profile page. - Follow people with similar interests and profiles and ask them to do the same. As a rule, people who work in the same sphere or have similar hobbies will be glad to follow you back. - Don’t forget to leave comments on other peoples’ posts. People will start following you more willingly if they see you are interested in their thoughts and opinions. - Always tag other people in your posts or comments. There is an option to “tag” a person when you comment on his posts. When you do this, the person gets a special notification by email which may push him to become your follower. Finally, your goal is to get public exposure. A true way to achieve it is to respectfully participate in as many conversations and discussions as you can, as this will keep your Google Plus profile attractive and visible to new followers and bring you much profit.